As many of you know, I just got back from a long week in Cancun. It was absolutely BEAUTIFUL there and the weather was fantastic. It was the perfect vacation spent with my amazing husband, and a great getaway before our big move to freezing cold NJ. Now that we are back, the time has come. I have had so many people ask me about this adorable swimsuit from Kini Swimwear, and now is the time I get to share with you how I was able to design it myself! Yep, thats right. This design came from yours truly! Kini Swimwear is an awesome site where you can literally choose whatever design you want from their many fabric, color, and style options. 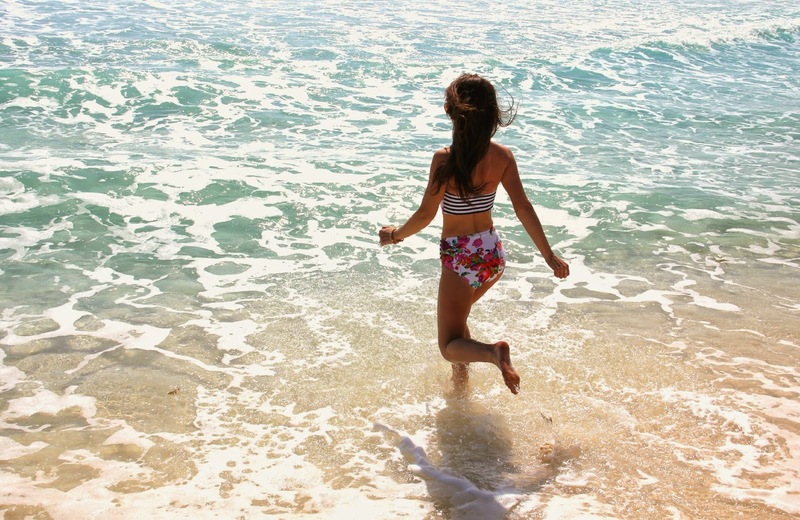 These swimsuits are personally designed by YOU and you can chose what you think will look best on YOUR body! I can’t even tell you how fun it was for me to chose every little detail myself. Swimsuits are hard for me, because I like a good amount of coverage, but also need support up top, and something that covers my bum as well. Have you ever fell in love with a swimsuit, then tried it on and thought, “gosh, I wish it had under wire, or I wish it wasn’t cheeky bum coverage.” Maybe even vice versa? You won’t have to worry about that with Kini Swimwear because YOU get to chose what looks best for you! Step 3: Fabrics. 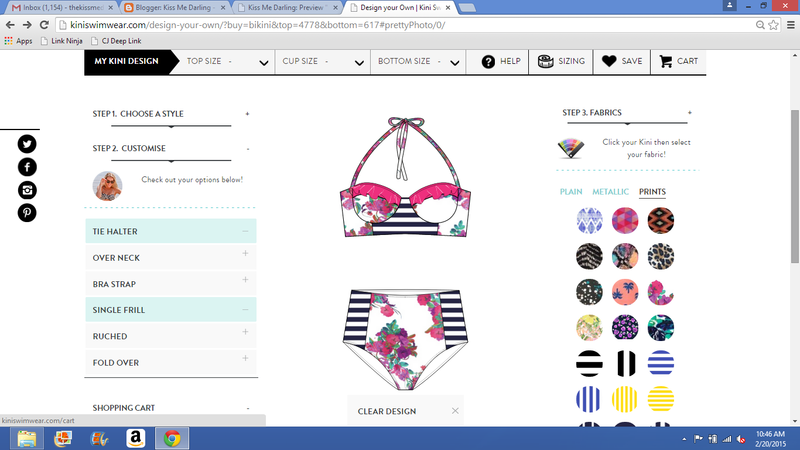 Click on the section of kini you want to design, then select your fabric. There are tons of designs and color options to chose from. Click each section to mix and match patterns, designs, and colors. You can also add a frill to the top bodice, change the bra strap, ruche the bottoms etc. Step 4: Chose your Top Size, Cup size, and Bottom size up top. Make sure to check the size guide as these sizes are australian. For example I’m an XS and wore size 6 top. Once you’re finished you’ve got you own personalized to you, kini swimsuit! I hope you love yours as much as I love mine. I promise you won’t regret it! I love this retro bikini! Beautiful photos! That is a great concept especially for me. I can never find the perfect swimsuit!